Feel good legislation for the democrat socialist. 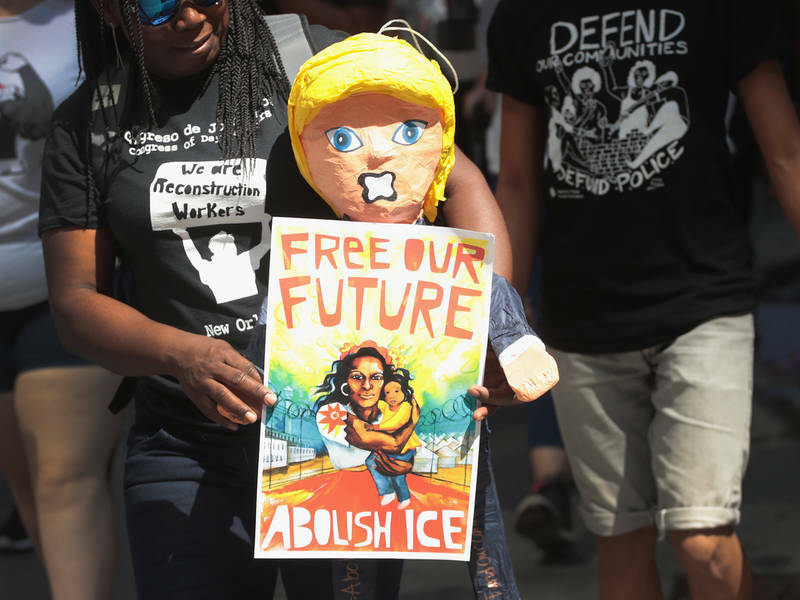 The New York City Council passed a resolution Wednesday calling for the abolition of U.S. Immigration and Customs Enforcement, making it the nation’s first major municipal legislative body to formally endorse the burgeoning progressive cause. Councilwoman Helen Rosenthal’s resolution specifically calls on the U.S. Congress to pass the Establishing a Humane Immigration Enforcement System Act, which would dissolve ICE and create a commission to determine how to fulfill its functions. That bill is unlikely to move forward in the Republican-controlled Congress. But with the resolution, the Council voiced its institutional support for eliminating an agency that lawmakers and advocates say has gotten out of control under President Donald Trump.